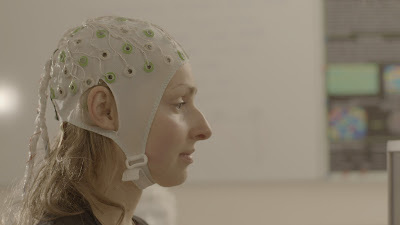 Gaines, on Brains: Implanting and Erasing Memories: Life-Changing, or Taking Science Too Far? Most people who have experienced emotional trauma — such as war veterans, sexual assault survivors, or those whose lives have been threatened — are able to heal emotionally within weeks and months of the distressing event. But for some individuals, the anxiety associated with the event never quite goes away with the passage of time. Recurring and intrusive flashbacks, nightmares, feelings of numbness or hopelessness, and avoidance of places, people, and activities that remind you of the traumatic event are common symptoms. At some point in their lives, around 7.8% of Americans will experience post-traumatic stress disorder, or PTSD. Cognitive behavioral therapy, exposure therapy, and antidepressant medication are the current treatments for PTSD, but they're not successful in everybody. In a 2012 paper published in Nature, Xu Liu* and PhD student Steve Ramirez at MIT employed a relatively new technique called optogenetics to identify small clusters of neurons, called "engrams," that are activated during learning. It had long been hypothesized that specific memories — like losing your first tooth or riding your first roller coaster — are stored in engrams. Typically, when a mouse is startled, it freezes in place for a second or two before moving around again. Scientists perform these "fear conditioning" experiments in mice by putting them in boxes that provide a brief shock to their feet. 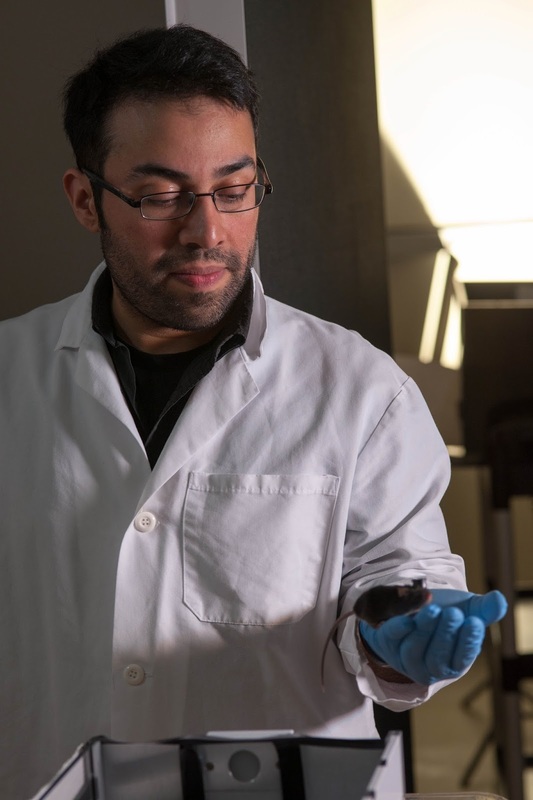 For their Nature study, Liu and Ramirez were able to identify a population of neurons in the dentate gyrus region of the hippocampus that were activated when mice first learned to fear the footshock. They labelled these neurons with channelrhodopsin-2, a special type of protein originally found in algae that is activated by light. Interestingly, when Liu and Ramirez took mice out of the scary environment — the box where the footshocks occurred — and simply shone light directly onto the engrams, the mice would still freeze. This suggests that simple activation of these engrams, no matter the context, is enough for the animal to recall the memory. This may explain how a certain smells or hearing particular songs are able to stir up old memories for us. In July 2013, the group published another paper in Science where they did something a little different. This time, they let a mouse explore a plain old box for a few minutes, allowing them to encode an engram for this new location. The next day, in a different box, Liu and Ramirez applied a footshock; at the same time as the shock, they activated the engram for the "safe" box with light. On the third day, the mouse was placed back in the original, boring box. But fascinatingly, once put in the old box, the mouse froze in fear, thinking they'd receive a footshock. In other words, a "false memory," created on the second day, caused the mouse to fear something that had always been harmless. There's still a long way to go before these techniques can be applied to any type of therapy in humans, though. 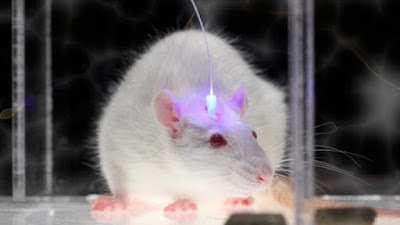 In the lab, optogenetics is still a rather invasive technique. Also, fear is very fast-acting, evolutionarily-ingrainted instinct — how can we target much more elaborate, complex memories, such as a particularly horrifying experience for a combat veteran combining sight, smell, sound, and other sensations? And even if we are able to develop the technology to precisely target and manipulate these memories, should we, from an ethical perspective? Let me know your thoughts in the comments. Check out the new series Breakthrough: Decoding the Brain premiering this Sunday, November 15 at 9 pm ET on National Geographic Channel. The show will examine the work by Liu and Ramirez, as well as many more fascinating neuroscience-y topics. *Sadly, Dr. Liu passed away earlier this year at the young age of 37. In my opinion this is why religions will always thrive: they start with humans, not with science - and clearly there is an argument for it. Because if, let's say, we let the average transhumanist get away with everything they consider an improvement of human power and possibilities, the ideal human being might be a 99 percent robotized kind of being. In the pre-technological era, powerful classes were created by other means (such as brutal wars and the reign of terror) - building such powers inside a human being is not really a big difference from the old approach. Of course, I cannot ignore a certain need to consider our options properly. But then, let it be both the potential wins and losses being studied seriously. Take your example of those war veterans. At first sight it looks like there's only gain - as we do not want people to live with trauma for the rest of their lives. On the other hand, if we can just remove those problematic memories from their conscious mind, then governments may develop an argument and a strategy whereby such troublesome memories can be considered waste substance, disposable materials that just need to be discharged when the soldier has completed his mission. And whatever cruelties they might do, they know their conscience won't sue them. Even the commander-in-chief may just cleanse his conscience. Regardless how you look at it, the end result that we are calling for is the possibility to be inhumane and then "make us humane again" by some applying obliviousness to the completed acts of inhumaneness. But someone will always pay the price. Someone will also remember and write it down. There is no way we can turn a lie into truth by applying forgetfulness to those who seem to need it most. So in the end, what it boils down to is this: we need a truly humane project to believe in. In this sense, I tend to believe that we all need to become, or stay, 'religious' - in a certain way. Mind you, I'm atheist. But I don't like to mince words, we can substitute the word 'religion' by 'humanism' for instance, but essentially it is still always about the question what it means to be human, and perhaps more importantly to be 'humane'. Humane is another word for compassion. Even religion does not 'own' things like compassion - but humanity certainly owns compassion (it is a great discovery and it has been tested for ages, with good results). So the question is, which world do we want for us and our children to live in? I certainly don't want a mechanized and pathetic world where no one can suffer anymore from being human. I do not want to give up the suffering of grief, sorrow and remorse in exchange for forgetfulness. Besides, as a remark in the margins: this is a good article, but it is only partially in agreement with modern scientific views. Experiments with mice run contrary to new insights about emotions and suffering in such animals, to name one thing that came to mind immediately when reading this. I'm just saying: the suggestion that we might be "taking science too far" as your title suggested, is all too real. It seems to me like certain scientists have - even with good intent - a tendency to relieve their own (or mankind's) suffering by imposing suffering upon other species who are nevertheless part of the same phylogenetic tree. To me, this is a clear indication that less developed branches of science (the human sciences in particular, which are less 'exact' and therefore less spectacular and successful than hard sciences such as maths and physics) need to make more impact on the scientific community world wide - and probably also more recent fields of study such as Earth System Science - which seem to introduce a broader field of vision into the academic world. In other words, the 'old' human-centric vision is under siege today - for very good and justified reasons, I believe. It is not religions, but humans in general who are questioning our 'scientific attitude' more often today. And I think this is a very good thing for the future of the planet.